The first Grand Slam of 2017 is one that will live long in the memory of all tennis fans. Not only did we witness ‘the final for the ages’ between Roger Federer and Rafael Nadal, the encounter also gave us enough reason to believe that the remainder of this year may witness the revival of one of the greatest sporting rivalries that has existed. The 2017 Australian Open marked the return of both Federer and Nadal to Grand Slam tennis. While Federer missed 2 out of the 4 slams last year, first with a back injury and then with a knee injury that required surgery; Nadal was forced to cut short his 2016 season as a result of persistent injury concerns with his wrist. As much as their legions of fans missed their presence on court, concerns over their future, particularly given their age, were inevitable. However, a lengthy absence has undoubtedly given the pair sufficient time to comeback in the best possible physical shape. In fact, for all you know, their absence might just prolong their respective career for the next few years, as suggested by Federer. Finally, if the Australian Open final was anything to go by, then this is certainly going to be the case. 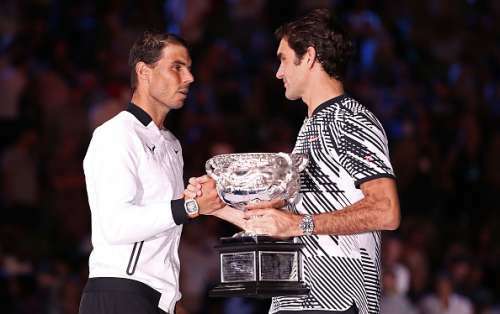 Australian Open 2019: Are we headed for another Federer vs Nadal match-up?